HVAC equipment rental is the perfect alternative to a long-term commitment when it comes to climate control. Climate control is essential for both commercial and industrial facilities.Climate needs however, vary and permanent equipment is not always necessary. Moreover, rental equipment may be a suitable investment based on your budget. 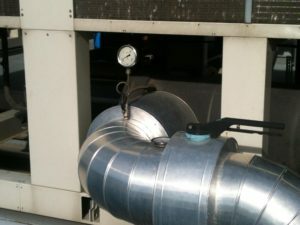 Alpha Energy Solutions is capable of providing HVAC Equipment rental for all types of facilities. We understand that HVAC is an investment. In addition, we realize the importance of maintaining productivity and operations. In fact, we support all of our equipment rentals with service and selection. Technicians at Alpha Energy Solutions have over 2000 years of experience in the field. As a result, we can help you determine what system is best for your facility. After deciding on a system and having it installed, we can back up your HVAC equipment rental with service. Our technicians are on-call 24/7 to handle your service calls. Ideally, your HVAC equipment rental will operate seamlessly however it may need service from time to time. In the event that your equipment needs attention, our technicians at Alpha Energy Solutions can help. We offer a quick turn-around on service calls because we have access to a wide distributor network for parts. We can obtain the parts that you need for service quickly. As a result, we can help you reduce any time spent offline. We understand that the faster your system is up and running, the more productive your operation can be. Anticipating problems ahead of time is always something to consider. Alpha Energy Solutions also offers Preventative Maintenance Plans. Our unique plans will help to keep your equipment running smoothly year-round. Some of the benefits of the plans include system monitoring, status updates, and predictive maintenance. Knowing what to expect from your rental equipment will reduce emergencies. In addition, Preventative Maintenance Plans help you to avoid costly repairs due to system breakdowns.